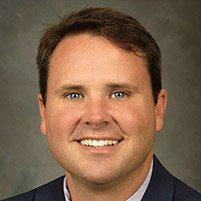 Dr. Robert Lewis always appreciates feedback from his valued patients. To date, we’re thrilled to have collected 103 reviews with an average rating of 4.99 out of 5 stars. Please read what others are saying about Dr. Robert Lewis below, and as always, we would love to collect your feedback. As always the visit was great, clear instructions and felt my situation was important to him. Dr. Lewis is very personable. Takes time to explain things in language you can understand. Great experience! Dr. Lewis does surgery when it’s necessary but directs to rehab first. I recommend him to all my friends. Shoulder surgery. Extremely pleased with Dr. Lewis and his staff. Would highly recommend him. Office staff were courteous and very professional. 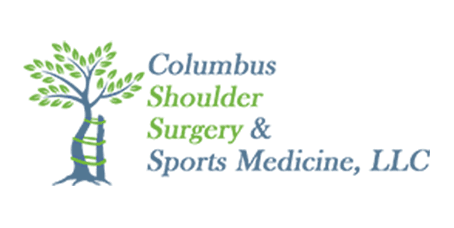 My experience with Columbus Shoulder was great. The staff greeted you by name upon arrival, always kind and professional. Thank you Dr Lewis and your staff for all you have done for me. My knee surgery went really well. Great attention the detail and explain details. Dr. Lewis is amazing! He and his staff are very personable. I appreciate that he takes time to explain what is wrong and what needs to be done to get it corrected. Seriously, go see him, you won’t regret it! The appointment was just fine. I've been going to Dr. Lewis for several years. He's done surgery on one of my shoulders and will be doing surgery on my other before long. I've had nothing but great experiences with Dr. Lewis and his staff. He is very knowledgeable in his field and his nurse is wonderful as well. I do reccomend and will continue to recommend him to family and friends. Very dedicated to the patient. Always a great friendly atmosphere. Wait time is great! Dr. Lewis is the best. He listens and answers any questions I may have. Dr Lewis and his staff are first class! He kept me informed before and after my shoulder surgery. 6 months later I’m doing fantastic. I would definitely recommend Dr. Lewis to anyone considering surgery. Thanks again Dr. Lewis! I went in earlier this week having issues with my arm and Dr. Lewis has gotten me to a surgery appointment next week for my carpel tunnel. They saw me quickly got the necessary testing I needed and got me back in. I was worried it would take forever but he is wonderful and the office staff is amazing. My experience with my knee scope was great. Dr. Lewis and his staff are such professional and caring people. I would highly recommend anyone considering orthopedic surgery to contact Dr Lewis and his staff. Dr. Lewis answered all my questions and provided all the informations leading up to my surgery coming up on the 26th. My wife and I have been very pleased with his office and staff so far and trust him to get me through this surgery. Dr Lewis and his staff are truly the best. From the moment you walk in the building you are treated as if you are the only patient there. All your needs are immediately taken care of. I highly recommend Dr Lewis to anyone. Truly a complete professional team that treats you like family. Thankyou for making me a priority.